Use the form below to contact tour Belly Dance Lesson Workshop in Istanbul directly. 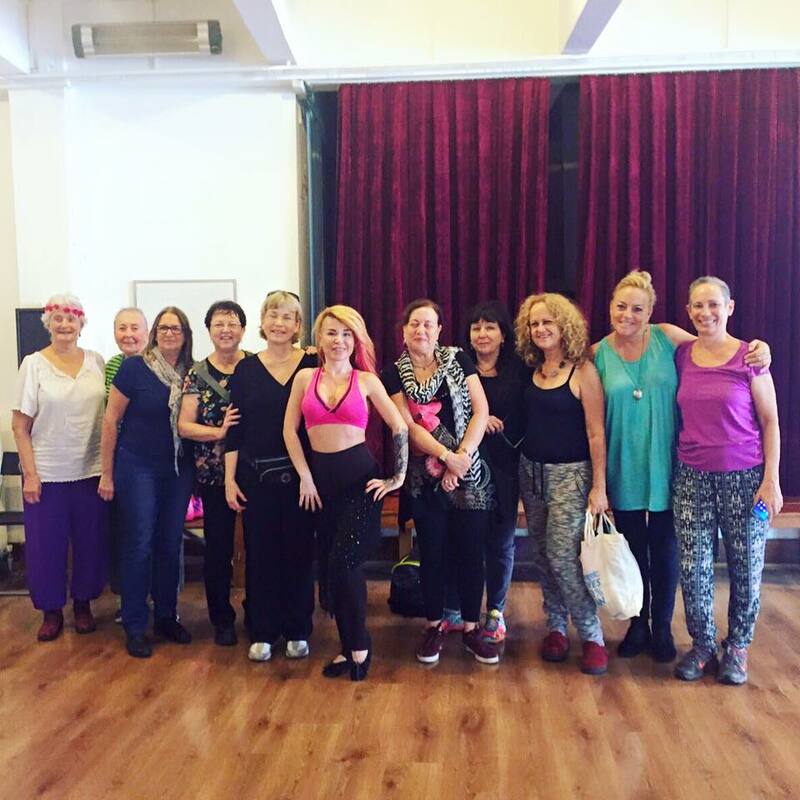 In our dance studios located in Sultanahmet and Taksim area, we can offer you Turkish Classical & Gypsy Style belly dance lessons during your visit in istanbul. These are private tours and runs upon request. Наша организация Les Arts Turcs Istanbul Life ORG может предложить вам уроки турецкого классического и цыганского Танца живота во время вашего визита в Стамбул. «Танец живота» – это западное название арабского стиля танца, разработанного на Ближнем Востоке. В арабском языке он известен как Raqs Sharqi (“восточный танец”) или Raqs Baladi (“национальный” или “народный” танец). Термин ” Raqs Sharqi “, возможно, возник в Египте. Уроки танца живота в Стамбуле. В наших танцевальных студиях, расположенных в районах Султанахмет и Таксим, мы можем предложить вам уроки турецкого классического и цыганского танца живота во время вашего визита в Стамбул. По всем вопросам, связанным с обучением пожалуйста пишите нам E-mail. Özlem Idilsu is an international dancer, teacher, choreographer based in Istanbul. Her studies include oriental dance, contemporary dance and classical ballet and Turkish and Arabic folk dances. She studied English linguistics at Stockholm University and Turkish and Turkic Languages at Uppsala University, and studied as an exchange student at Boğaziçi University. Currently, she is receiving Clinical Dance Movement Therapy education under Dr. Marcia Leventhal and Dr. Ilene Serlin from International Institute for Advanced Practice in Dance Movement Therapy in association with Safir Education and Psychological Counselling Center, and doing her internship with young adults with down syndrome, autism, mental retardation. She’s based in Istanbul, performing and teaching dance, facilitating interdisciplinary creative dance activities, and instructing pilates classes. Özlem’s studies, experiences, cultural and technical background make her a rare source of insightful knowledge about the cultural and historical side of oriental dance. She is versed in both Turkish and Arabic styles, performs both classical and fusion styles of oriental dance, bringing out her own character and imagination. She is fluent in English and Swedish. Her personal interests include swimming, TRX training, yoga, psychology, the use of expressive arts for personal development and heavy \m/etal. Learning Turkish Belly Dancing Gypsy-StyleI decided to come to Istanbul, Turkey in order to improve my Turkish. However, since it was my “break” from law school, I decided to indulge myself. I decided to take belly dancing lessons while I stayed in Turkey. I have always been interested in the type of dance and have seen a few performances in the U.S. I have done other types of dances and belly dancing was a type of dance that was on my list however, since starting law school, massive law books have been the major occupier of my time. So now that I am on my “break” and had time to do things that I actually want to do, I decided to take belly dancing lessons while I was in Istanbul. Before I left the U.S. to come to Istanbul, I “Googled” belly dancing lessons and the best place and affordable prices I found were with Les Arts Turcs which is actually the reason why I contacted Les Arts Turcs in the first place. This was my first interaction with the company. They were able assist me in finding a great instructor and at a very reasonable price. My instructor is Aytül Hasaltun. The studio is in a great location, by the Galata Tower, and it’s a very professional studio. My classes have been for two hours each week. I realize that four weeks of learning Belly Dancing for the first time in one’s life can be viewed as a pointless endeavor, however I have come to realize, quite quickly, that Belly Dancing is not only a way to enjoy a culture but also good for the dancer’s health. It is a great work out! I am very much enjoying my lessons which have been private, by the way. Aytül has been such a great instructor. She is extremely talented and very patient with me. Not that I was thinking belly dancing would be easy to do, but it is much harder than I thought it would be. I’m grateful to her and for this opportunity. I still have two more lessons but I am already feeling bad that I won’t be able to continue. The law books are starting to call and so my stay in Istanbul is coming to an end. So for now, all I can do is enjoy the last to classes and take it all in. Since I’m heading into my final year of law school and therefore my time will be a little less constrained, I have decided that I will continue belly dancing lessons back in Chicago when I return. I think it is great that my first introductory classes have been in a place like Turkey. Belly Dance Lessons in Istanbul. As a Les Arts Turcs Team we can offer you Turkish Classical & Gypsy Style belly dance lessons during your visit in istanbul. Belly dance is a Western name for an Arabic style of dance developed in the Middle East. Some American devotees refer to it simply as "Middle Eastern Dance". In the Arabic language it is known as raqs sharqi ("eastern dance") or sometimes raqs baladi ("national" or "folk" dance). The term "raqs sharqi" may have originated in Egypt. Outside of the Middle East, raqs sharqi dancing was popularized during the Romantic movement in the 18th and 19th centuries as Orientalist artists depicted their interpretations of harem life in the Ottoman Empire. Around this time, dancers from different Middle Eastern countries began to exhibit such dances at various World's Fairs; they often drew crowds that rivaled the technological exhibits. Some mistakenly believe that Turkish oriental dancing is known as Çiftetelli due to the fact that this style of music has been incorporated into oriental dancing by Greeks and Roma, illustrated by the fact that the Greek belly dance is called Tsifteteli. However, Turkish Çiftetelli is more correctly a form of wedding folk music, the part that makes up the lively part of the dance at the wedding and is not connected with oriental dancing. Turkish belly dance today may have been influenced by Roma people as much as by the Egyptian and Syrian/Lebanese forms, having developed from the Ottoman rakkas to the oriental dance known worldwide today. As Turkish law does not impose restrictions on Turkish dancers' movements and costuming as in Egypt, where dancers are prevented from performing floor work and certain pelvic movements, Turkish dancers are often more outwardly expressive than their Egyptian sisters. Many professional dancers and musicians in Turkey continue to be of Romani heritage as well. (However, it should be noted that people of Turkish Romani heritage also have a distinct dance style which is uniquely different from the Turkish Oriental style.) Turkish dancers are known for their energetic, athletic (even gymnastic) style, and particularly, until the past few years, their adept use of finger cymbals, also known as zils. Connoisseurs of Turkish dance often say that a dancer who cannot play the zils is not an accomplished dancer. Another distinguishing element of the Turkish style is the use of the Karsilama rhythm in a 9/8 time signature, counted as 12-34-56-789. Turkish belly dance costumes can be very revealing, with the belt sometimes worn high up on the waist and split skirts which expose the entire leg, although dancers today are costuming themselves more like Egyptian dancers and wearing more modest "mermaid"-style skirts. The Turkish style is emphasized further by the dancer wearing high heels and often platform shoes. Famous Turkish belly dancers include Tulay Karaca,Nesrin Topkapi and Birgul Berai. When immigrants from Turkey, Iran, and the Arab states began to immigrate to New York in the 1930s and 1940s, dancers started to perform a mixture of these styles in the nightclubs and restaurants. Often called "Classic Cabaret" or "American Cabaret" belly dance, these dancers are the grandmothers and great-grandmothers of some of today's most accomplished performers, such as Anahid Sofian and Artemis Mourat.